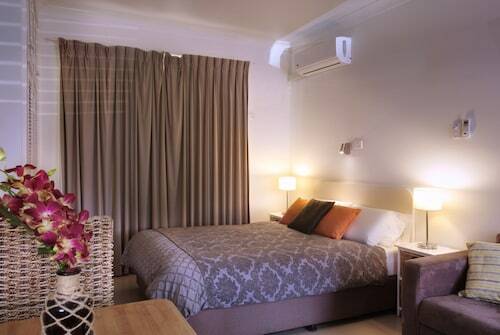 Situated near the beach, this luxury hotel is 0.1 mi (0.1 km) from Forster Town Beach and within 3 mi (5 km) of One Mile Beach and Booti Booti National Park. Forster Marina and Tuncurry Rock Pool are also within 2 mi (3 km). 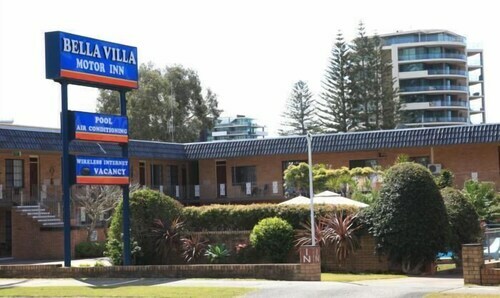 Situated in Forster, this hotel is 0.7 mi (1.1 km) from Forster Marina and within 3 mi (5 km) of One Mile Beach and Booti Booti National Park. Forster Town Beach and Forster-Tuncurry Golf Course are also within 2 mi (3 km). Situated by the sea, this motel is 0.7 mi (1.1 km) from Great Lakes Museum and 2.9 mi (4.7 km) from One Mile Beach. Tuncurry Rock Pool and Forster Town Beach are also within 2 mi (3 km). 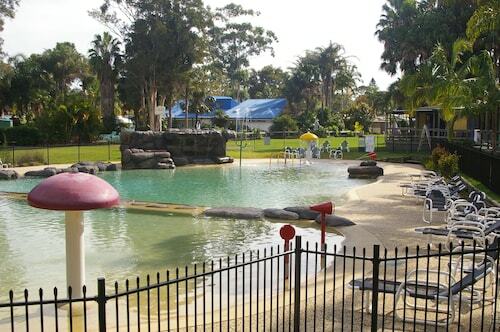 Situated in Tuncurry, this motel is within 3 mi (5 km) of Forster Town Beach, Forster Marina, and One Mile Beach. Forster-Tuncurry Golf Course and Booti Booti National Park are also within 6 mi (10 km). 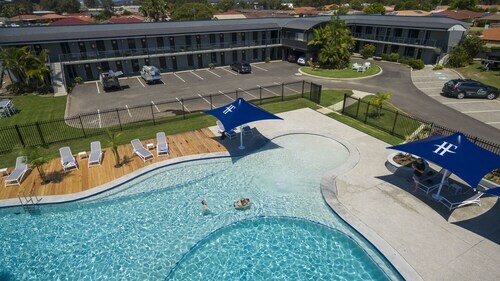 Located in the heart of Tuncurry, this luxury apartment building is within 3 mi (5 km) of Forster Marina, One Mile Beach, and Forster-Tuncurry Golf Course. Booti Booti National Park and Cape Hawke Lookout are also within 6 mi (10 km). 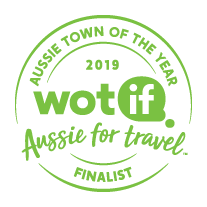 We’ve crunched the numbers, looking at pricing, demand and all-round awesomeness, and it’s official – Forster, NSW, is a Finalist in Wotif’s Aussie Town of the Year Awards 2019. The Aussie Town of the Year Awards recognise top Aussie destinations that offer travellers great value for money, fantastic experiences and excellent accommodation options. With its stunning beaches and whale watching sightseeing, it’s obvious why Forster was a top pick for the top ten. Beat the crowds before this stunning Australian coastline is discovered! 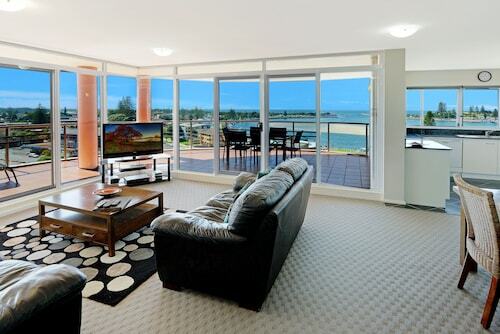 A relaxing holiday by the water is exactly what you'll get when you stay in one of our Forster hotels. This picture-perfect coastal town is only three hours from Sydney and is part of the New South Wales Great Lakes region, making it perfect for a weekend getaway or an extended stay. Keen fishermen will also be in their element here, with the options of beach, rock, lake, river and deep sea fishing. In 1770, Captain Cook sailed past Forster and named its highest point "Cape Hawke". The name has stuck until this day, and now you can go for a 500-metre bush walk up to Cape Hawke Lookout, which offers some spectacular views of the region. In the early 1800s, the town became a great source of timber for nearby colonies, but it wasn't until 1856 that it was officially settled by Europeans. Since then, it's steadily grown to become the charming seaside town that it is today. While you're here, you can learn more about the town's history by visiting the Great Lakes Museum and Heritage Centre. Beach bums will love chilling out on Main, Diamond, Pebbly, Burgess, One Mile and McBrides beaches. On the water, you can have a go at sail boarding and scuba diving or even go on a dolphin cruise. However, Main Beach is definitely the safest for swimming, and you can also swim in the Ocean Baths across the road from it. If you've had enough of the surf and sand, head to Wallis Lake, where you can go kayaking, boating and waterskiing. This huge lake is 25km long and 9km wide and is fed by four different rivers! There are also a number of islands inside the lake; the most popular being the Wallis, Yahoo and Cockatoo islands. So grab a snorkel and some flippers and check out the marine life around the islands. When it comes to getting a good feed in Forster, you'll find plenty of cafes, pubs, takeaway shops and ethnic restaurants. Don’t leave town until you've tried some of the fresh oysters that Lake Wallis is famous for. Taree Airport is only about 40 minutes away and we've got some great deals on flights to Taree. But if you're planning on spending some time in Sydney, you can grab one of these cheap flights to Sydney and then enjoy the three hour drive to Forster. Once you're in town, you can get around fairly easily on public buses but if you hire a car, you'll be able to explore some of the nearby towns like Pacific Palms and Hawks Nest. So wot are you waiting for? 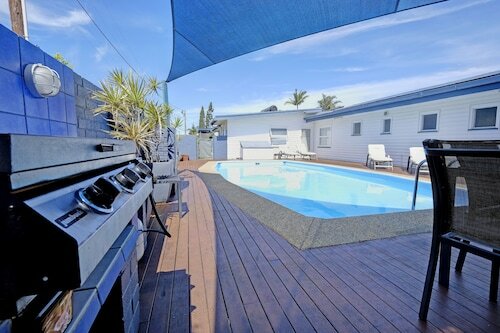 Book your Forster accommodation with us now and get ready for some fun in the sun! How Much is a Hotel Room in Forster? 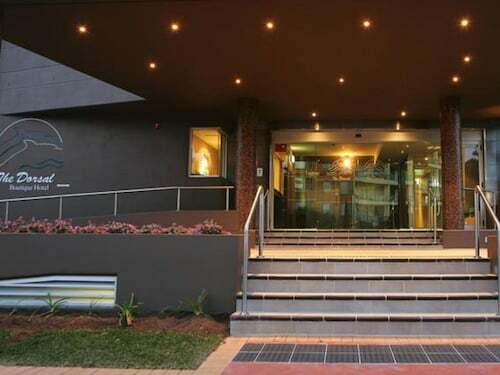 Hotels in Forster start at AU$76 per night. Prices and availability subject to change. Additional terms may apply. Good location, friendly service and I appreciated the foxtel movies and the renovated bathroom. Well set up for families , heaps of activities for the kids to do.